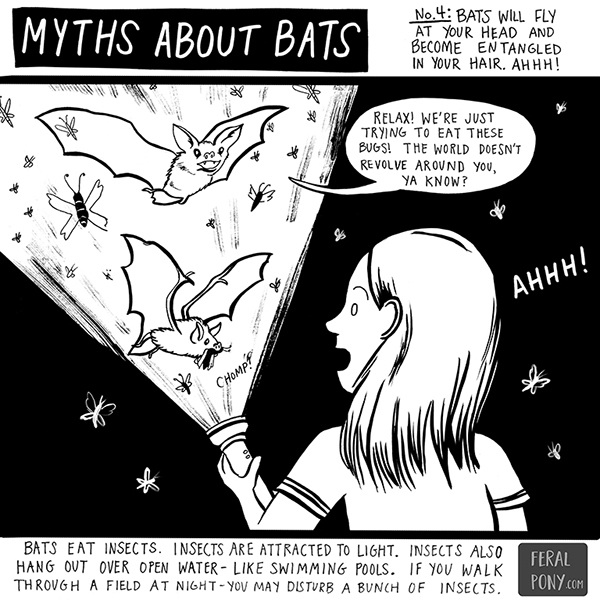 A series of comics I created to address common misconceptions about bats. 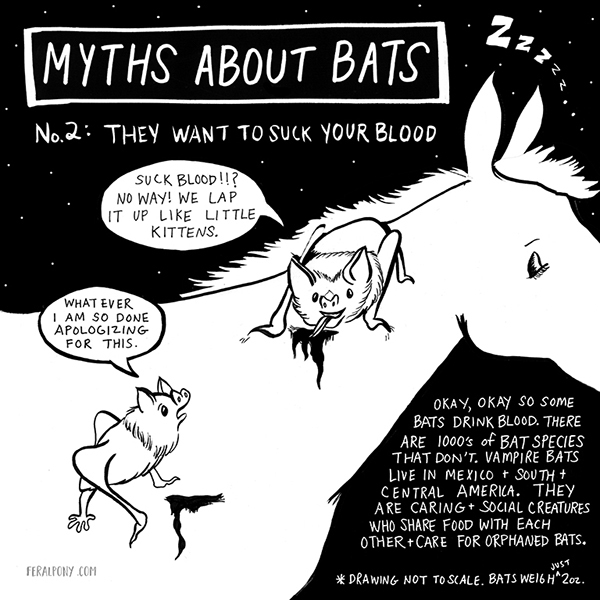 I think bats are really neat, I've always been a fan. 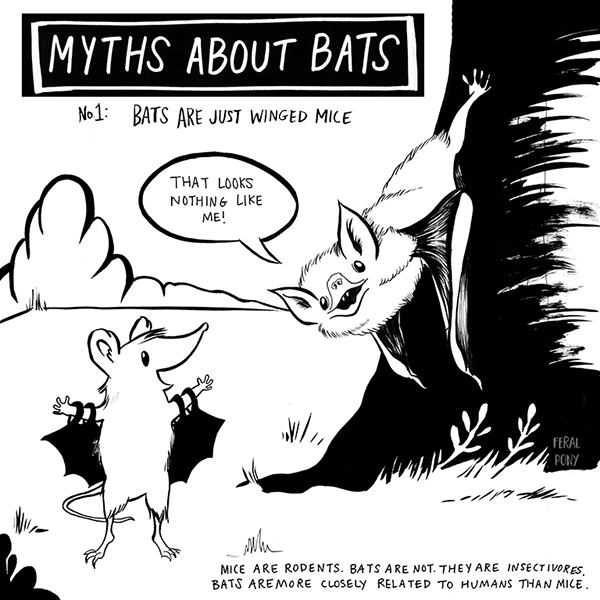 I found many of the myths people believe about bats to be rather silly and decided to speak on things from a bat's point of view. 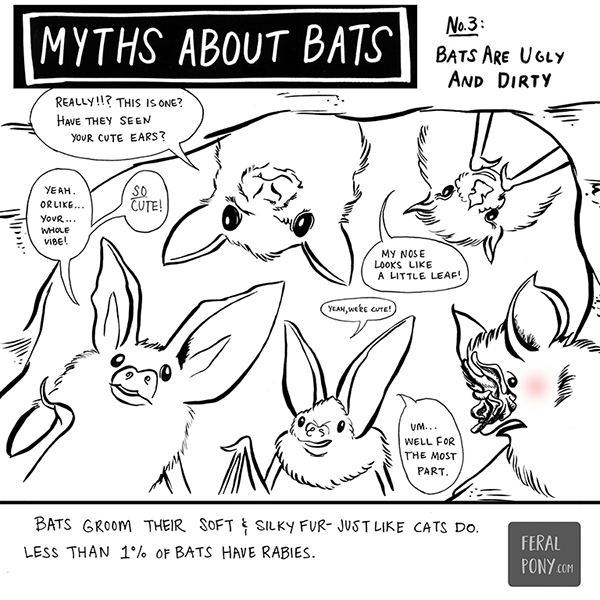 These comics were released ever other day during Bat Week 2016.